Last week's guided Bioluminescent Paddle was a ton of fun and featured a lot of Oooooo's and Ahhhhh's as we watched the glowing jellyfish as they swirled off our paddles. The breathtaking views of Ninigret Pond, the rising moon, and the nighttime wildlife were equally enchanting. We are excited to bring you the second bioluminescent paddle this Friday night from 7:30 to 10:00pm. Directions to the Charlestown, RI meeting location will be emailed to you following your online registration. WPWA will provide everyone with a single person kayak, life jacket and paddle at no extra cost. WPWA strives to bring you guided programs in which you can feel relaxed while paddling in a setting that is typically outside the comfort zone of most paddlers. Your trained staff has developed a safe and exciting experience that no one should miss out on. To ensure your safety, participants must be at least 10 years old and able to paddle without assistance. If you are a Beginner Level paddler, you’ll need to practice a bit more this summer so you can join us next year. $40 per person for WPWA Dragonfly and Trout members. Non-members $65 per person, which includes a basic WPWA Dragonfly Membership at a savings of $10.If you are a WPWA Otter, Osprey, or Eagle Member, the program is free and you will not be asked for payment when you register online. Go to www.wpwa.org/events.php to register. 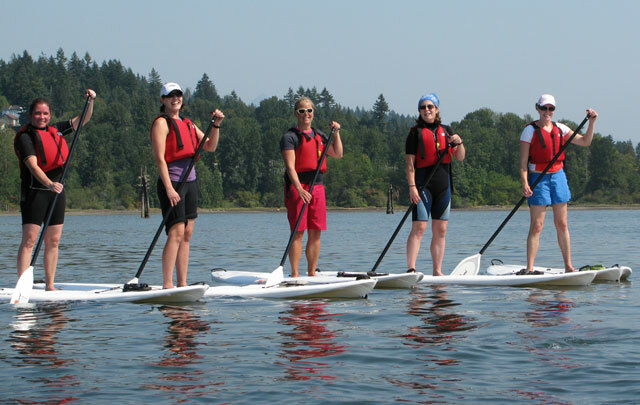 Have you been thinking about trying stand-up paddleboarding but didn’t know how to get started? Then this is the program for you! Join experienced SUP enthusiast and all-star WPWA volunteer Bill McCusker as he takes you through the basics on land before taking you out on the calm waters of the Wood River to try out your new skills. Paddleboards, paddles, and lifejackets will be provided. This program is limited to six participants. $25 per person for WPWA Dragonfly and Trout members, Non-members $35 per person. If you are a WPWA Otter, Osprey, or Eagle Member, the program is free and you will not be asked for payment when you register online.